This is the new Gumbo blog, folks. For writing and images, you will need to come here, as the kitchen is closed at The Honduras Gumbo. 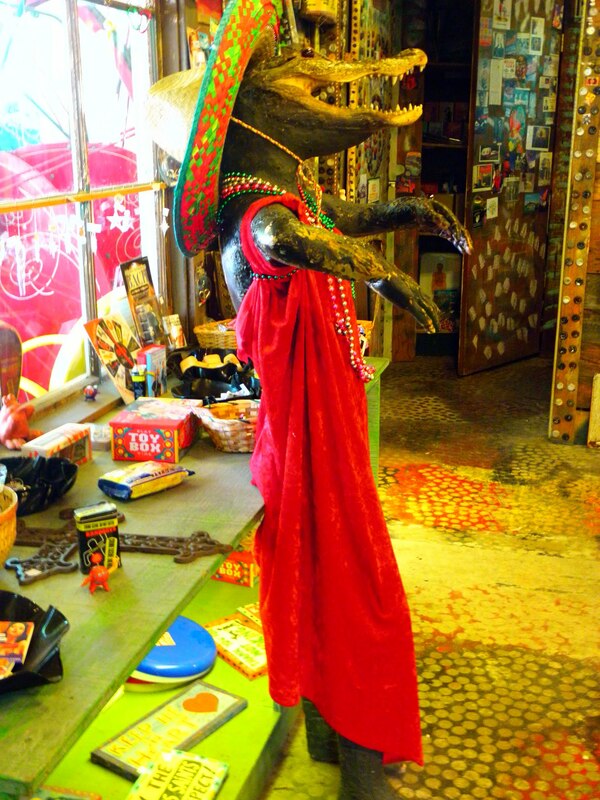 This stuffed alligator is dressed and ready for Mardi Gras. She’s on display at the UCM (pronounced you see ‘um) Museum in Abita Springs, Louisiana. I live just outside the city limits of this small town. The place has the feel of 1950s Americana. The quote from Garrison Keillor comes to mind when I swing through the traffic circle in the middle of town. It’s a place “where all the women are strong, all the men are good-looking, and all the children are above average.” Since the locale is Louisiana, it’s borderline eccentric, too. This post is linked to Unknown Mami’s blog meme, Sundays In My City.